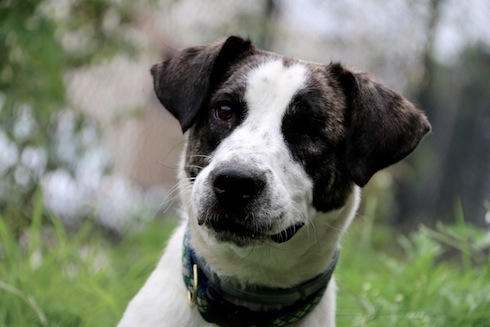 Meet Mumphrey, a happy go lucky, 2 year old, 40lb fun loving collie/hound mix from the Assumption shelter. When we went to get him from the shelter he was too scared to come out of his dog house & his eye was very damaged. 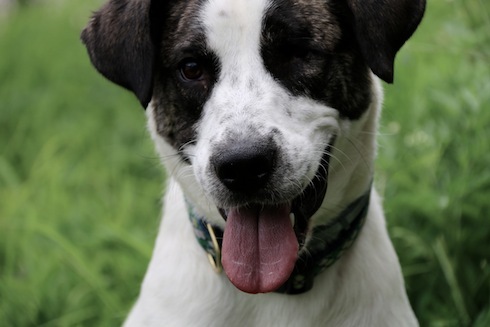 He has since WAY come out of his shell…and if you look closely he's winking at you (he only has one eye). 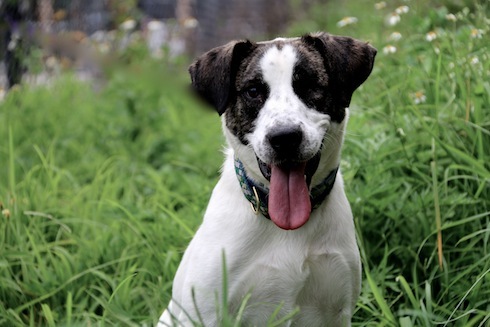 Mumphrey is a GREAT favourite around here for his amazing attitude, LOVES other dogs and is crate trained.